WHEN YOU ARE IN THE PLACE OF GROWTH, WE WILL BE THE LIGHT ALONG YOUR PATH TO ASSIST YOU. We are a light along your path, but you must be the walker to get to where you are going. An interesting concept, but to put into practice you will achieve your ascension and growth by perusing your journey with vigor and heart felt passion for the opportunity you have as a single spark of the divine. Let us say in a fine manner, you are a body with a collective connection to your culture and perception. You are also a free agent and alive in the sense you have volition or choices in every moment of your journeys. Some of your actions will bring pleasure, some pain. This is the learning process. You are at action or you are at odds to your life, and I might add knowledge is light upon your path. Achievement is when you move along your paths of experience with efficiency and lessened burdens, and this is your choice. Attachments along the way will hold you and this is also with the people you associate with. Make it the best to be with those of higher cause and order and especially knowing. Being around others you download perceptions and participate in like-minds, for this is the nature of your species. Choosing company that is of higher calibre to your soul evolution is a wise choice. For today, you know you must do and accomplish things but your mindset gets in the way. When you confront issues that have nested confusion, pain and fear they can indeed be troublesome and not easy to grasp how to perform the actions and the motivation to just get it done. These are habits of neglect (as painful and trying they may be) so you must pull the weeds and mow the lawn of your issues and taxing episodes of your life situations. It is far easier to pull out weeds that inundate your life at the moment than rather let them take root and seed creating effects in other areas of your life. Go for the blossomed seeded issues (the ones most pressing in your life), for example dealing with legal or other agencies that have been neglected. Pull those weeds out first by the root and put them behind you. Mow the lawn, that is to make your home or your pasture clean and pleasant, as the soul likes order and clarity (you know what I am talking about). As we have been instructing you all problems have solutions and you must look at your problems as an equation to understand them. By listing your concerns you have a platform in which to work from. As with everything else, once they are listed research information about your problems and/or conditions. You should know how your mind works by now, it wants to solve problems and answer your questions. The mind is a machine and problem solver. It works with the Astral body to pull in what you consciously want or unconsciously want. Understand this, as you focus to push things that are fear by focus, you attract them. What dwells in the mind gravitates the particles of the Universe and Astral energies to you. There are no coincidences, only the vibrations that emanate from your core do you seed experiences. Within the body there lies the tone centres your ancients of the Indian cultures and masters have taught on, and it would serve you to study this science for it is a vital part of the human experience and is the wormhole of the vortices you are pulled to as currents either knowingly in intent, or at random patterns. This crucial knowing is what makes you a Master or a slave. Beings on the planet, the only Masters in the universe are those that have embraced the power of the SELF in knowing or self-realisation. Such beings as Paramhase Yoganada have left incredible riches in this field. I need to address things and offer a warning to you as such. Many think that they are not in the right place and that there is a special place that they should be or a Star and planet. This is a sign of ignorance and wishful thinking, that it is local that makes you happy. If the mind is not seated in the soul spark of the Divine then there is no place of peace, for everything filters from the perspective of what is on the Inner. Go to the most wonderful places on Earth and you will not have paradise if you are out of kilter to the knowing and connection to the Source. 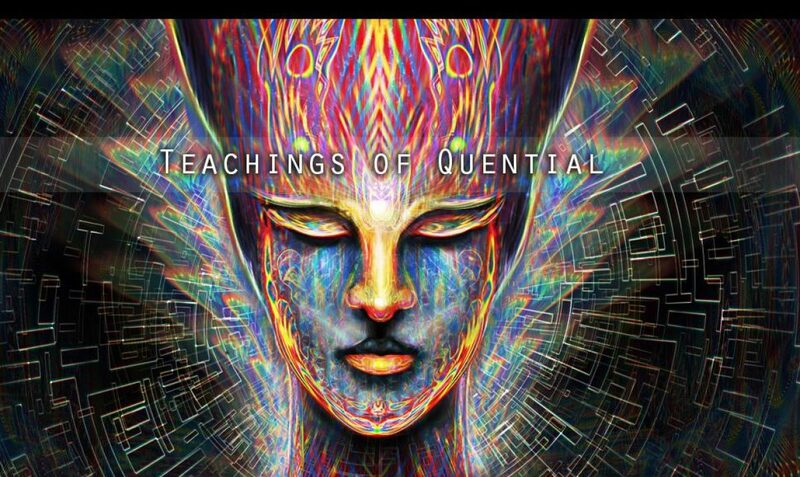 Though we have machines and travel beyond your present we are all on the path to further master our knowing and are continuing to discovery of ourselves. As a collective in the realms we are much more socially evolved to Prime Source and know much in comparison to your realm, the principles are the same. It is not local to a planet or Star, it is local to your link with the inner web of all that is, the cord you have to your soul that connects to the Source. Do not think that riding on one of our vessels is going to make you any wiser, that is not our mission. Your world has been taken over by a few very dark and self-serving cabal that has joined with a Reptilian species that is testing your species and experimenting with your form and mental and spiritual bodies as well as physical. Furthermore, they have seeded false beliefs about the Universe and the knowing you could have more freely. Your planet is still in the dark ages to the inner connection and truths. These beings must respect the laws of sovereignty for everyone, as it is the prime directive of the source. So when you make contracts with them to change they will take every opportunity to grab your life force. Know this, that the worst religion on your planet is the banking system, based of paper and slavery, from your housing to your food they run you and enslave you. Until you disassemble this GOD you will never cease war and conflict. We are ready to take this down in the next 3 years, and contacting many of our allies. I am joyed to see a collective of intelligent postings, you are my family of beings. May we kindle the flame of enlightenment to the planet in the forming of critical mass of new clear explosion of source spark to all. Touching back on the mind, ever know how annoyed you are when you cannot remember some detail or some bit of information you know, like a novel, artist or actor? You go nuts until you remember and can answer the question. Same is true when you have issues that are tying up your mind because you can’t access them. Many times you have aversions to making changes or carrying out tasks because you don’t understand the issues of your situation. Once listed, your elements of confusion or fears can be brought to light with knowledge. You can easily research for the most comforting resonance within you. Now armed with knowledge you can plan a strategy to remove, replace and/or change the condition to balance out the equation of your situations. No matter how stressful they are you must move the stuff you are stuck with by making resolution and efforts to complete the cycles. In closing, the path to the Stars is in the light you radiate from within. We honor all of you, for in spite of the great suppression of your minds, bodies and souls many of you are steadfast and determined to the growth. Your incarnation builds character and many of us download a travel to put aside the powers and knowing we have to maintain a moment to dwell in your planet, uplift it and build our wills. No different than many of you. Love yourself, it is your duty. Previous Previous post: TECHNOLOGY AND CONTROL ARE THE AGENDA MANY ARE FALLING ASLEEP TO AND IN ITS SPELL. Next Next post: LIFE IS SIMPLE WHEN YOU ARE CONNECTED TO YOUR SOUL WITH A SOUND MIND.